OEM tinted glass needs no further tinting. During the production of OEM, glassmakers blend the tinting materials into the actual glass. This means that the tint requires no maintenance and will last for the entire life of the glass. OEM tinted glass usually has only a mild tint so that it will be considered legal even in the strict areas. OEM tinted glass can be an excellent option however replacement of the glass may in fact be more expensive in the event of a collision. Film tinting, by far the most popular aftermarket method, is obtained by applying a thin tinted polymer film to a specially prepared window glass. Films offer complete personalization as it varies in available shades of tint and outward appearances, such as flat, reflective, metallic, or mirrored. Film tinting is fairly inexpensive and come with many benefits. There are many DIY kits that claim to provide an “easy, stick-on installation”, yet these solutions commonly end up with unsightly bubbles and need to be removed by a professional. Coating tinting applies a special tinting solution to an existing piece of glass, usually through a spray. 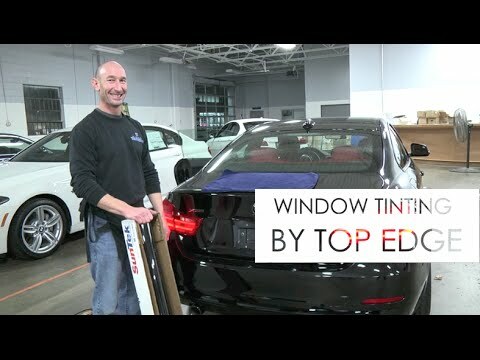 Coating tinting lasts much longer than film tinting however it does require that the window glass is fully removed from the car in order to be done properly. To learn more about our Long Island car window tinting or Clear Bra (PPF) services, contact us today!